10 Assorted NGT Ready Made Barbless Pole Float Rigs Coarse, Carp & Match To Suit All Situations. 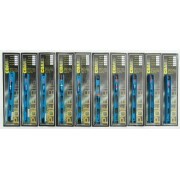 This Pack contains 10 high quality NGT ready made pole fishing rigs are ideal for any situation, river, canal, lake or commercial fisheries. 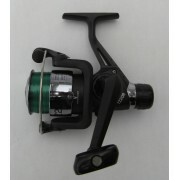 NGT make a very high standard of ready made pole rig..
NGT Fishing Compact Dial Scales 22kg & 50lb with 1m Tape Code. 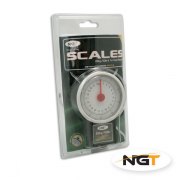 These Duo Dial scales for weighing your prize catch in both Kilo's and Pounds (22kg-50lb). Small and compact design, simple and easy to use. 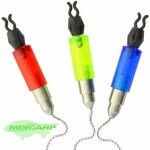 Comes with fold-away stainless steel handle and strong hook to attach your weigh sling. Com..